Looking for a travel experience with your hand-picked travel companions? Your search ends here, with Collette Private Touring. Build your exclusive guest list, be it groups of friends, family, colleagues, your significant other, or any special collection of travelers. We’ll give you our signature pre-crafted itineraries and a world-class Tour Manager. You give us your guest list. First, pick your travel experience. Then, build your VIP Guest List. 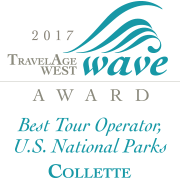 These select 26 tours feature everything that makes Collette a world leader in guided travel – memorable meals, perfected itineraries, world-class Tour Managers, the works. Pick the tour that works best for you, then invite who you want to join you. Whoever you want to take, your Guest List will be the exclusive travelers on this tour. Always dreamed of doing a family reunion in Italy? Want to take your group of friends to Costa Rica? You and your colleagues looking to take a much-deserved vacation to South Africa? You can make that happen with anywhere from 2 to 44 travelers. Your Collette Concierge is a dedicated resource on everything travel related. They’ll set everything up for you – pricing and booking the tour, arranging everything before you set off, you name it. They’re here to make the process of booking as seamless as possible. Go to them for anything, big or small, before you depart for your tour. Thinking of taking a Private Tour? We’re here to help. Call a Collette Concierge at 855.212.3102 or see your Travel Professional. Pricing based upon number of travelers. Call your Concierge for a quote.